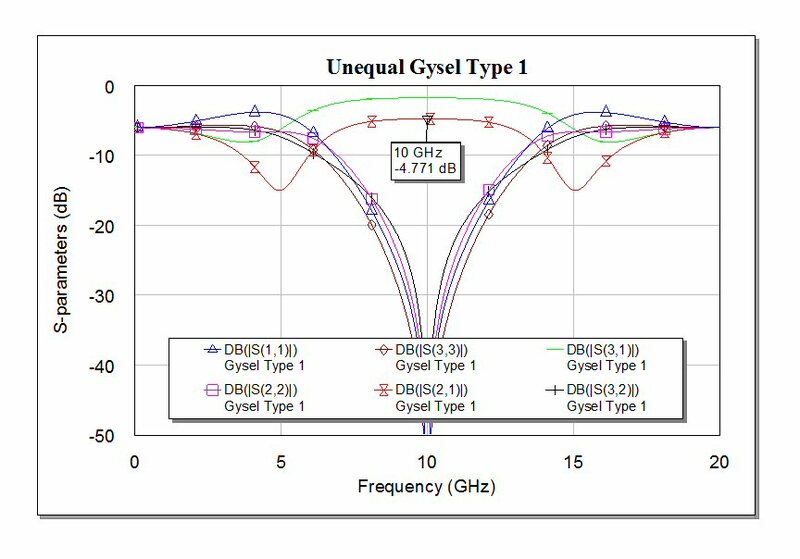 This page came about when Microwaves101 reader Chih-Jung submitted a reference for an unequal Gysel. We call it the "Type 2" and it is described below. 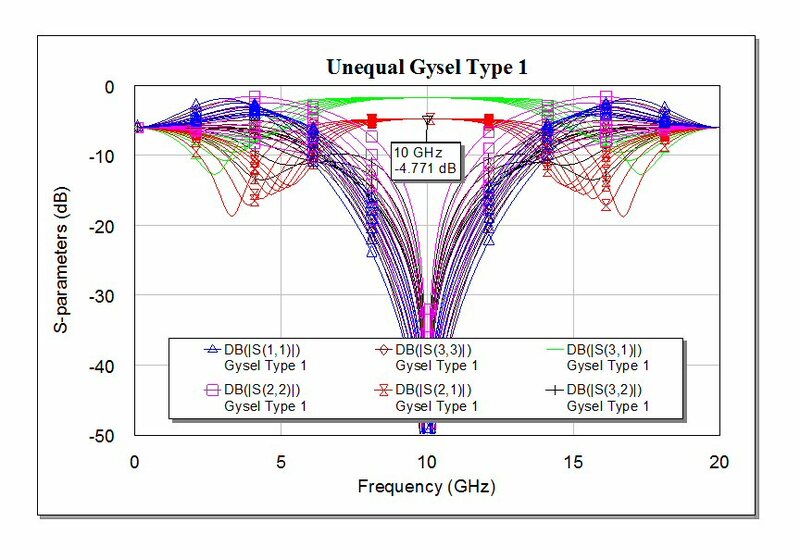 We developed our own unequal Gysel which we call Type 1. 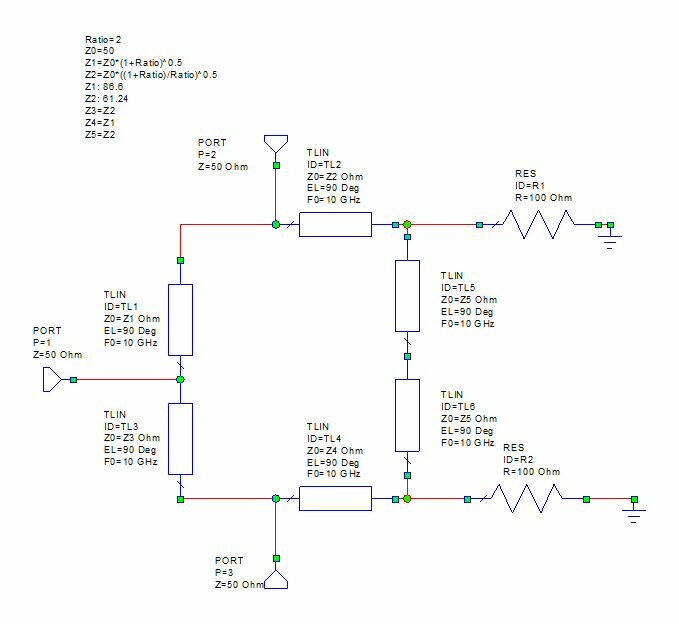 All the splitters on this page are two-way, but they could be adapted to N-way with a little thought. Why would you want an unequal Gysel splitter? 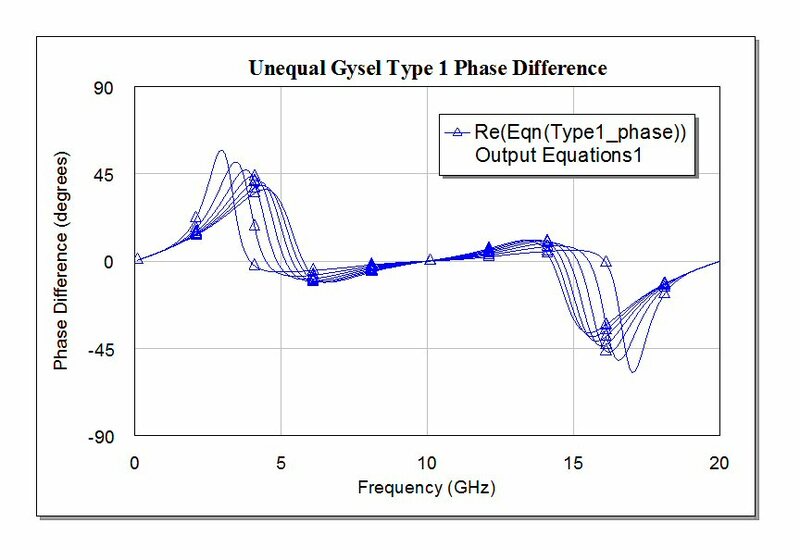 Remember the defining characteristics of the Gysel are high power handling (because one-port isolation resistors can be well heat-sunk and it is relatively easy to absorb physically large resistors into a Gysel design). 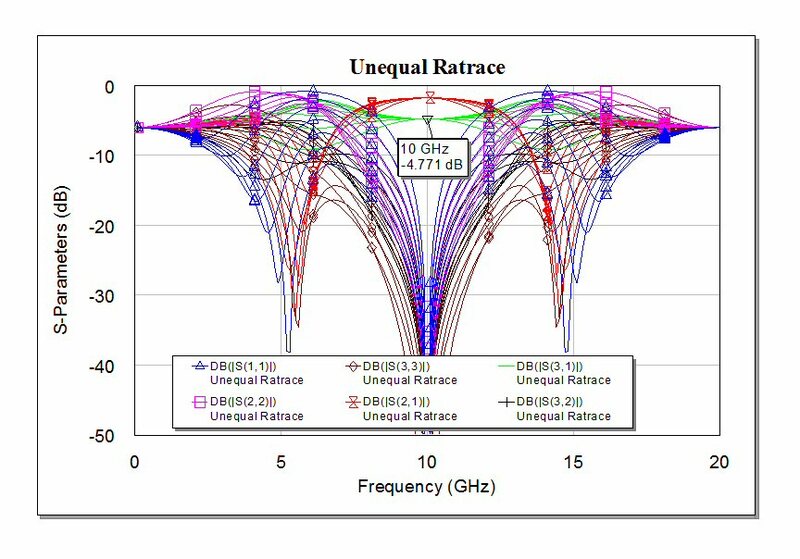 You might need unequal split if you are tapering an antenna array on transmit for low side lobes. Or maybe this was just a homework assignment and you Googled your way here! We will start the discussion by taking a new look at at the unequal rat race, noting that the Gysel and rat race are kissing cousins. Below is a schematic of the unequal rat race. We added an extra degree of freedom, which was pointed out in Gysel's original paper. Two of the quarter-wave segments can have any impedance you want, these are on the right side of the coupler and have impedance Z5. 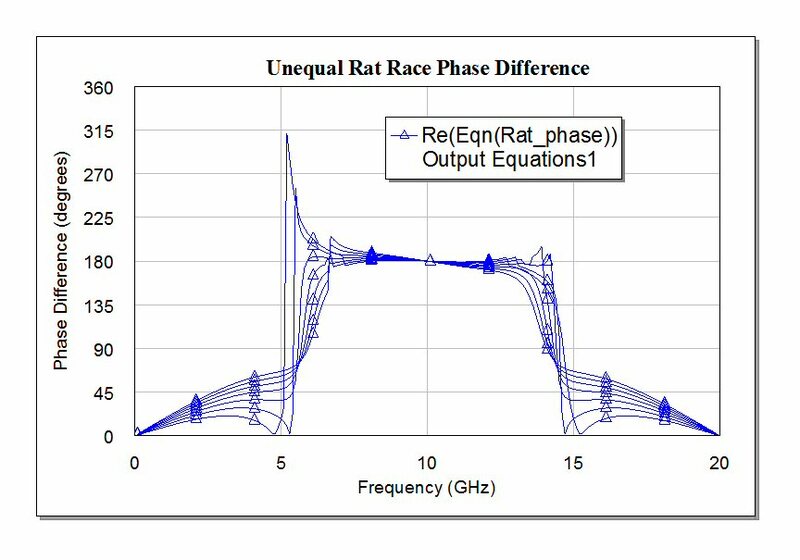 In the schematic below we set Z5=Z2 which is the common usage for the unequal rat race. It is so common we have a calculator for determining the impedances as a function of coupling ratio. 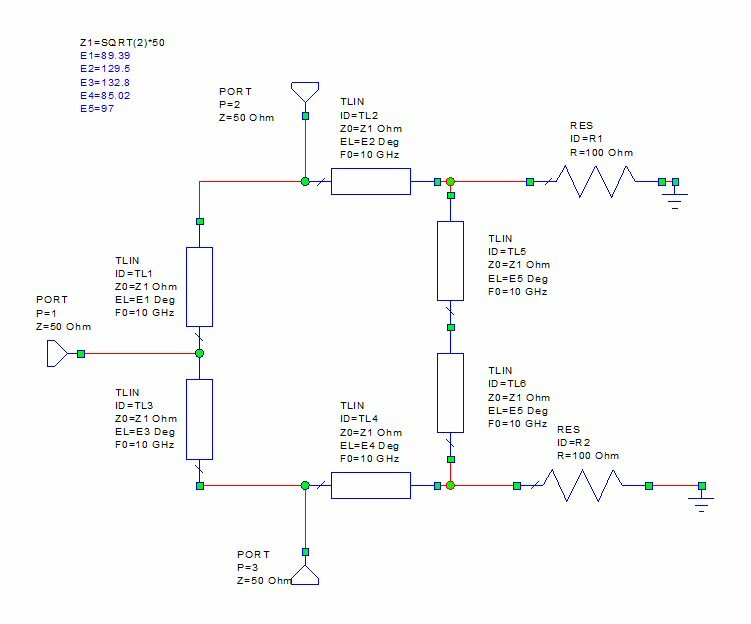 All of the analysis on this page was done using AWR's Microwave Office, the preferred tool by the tools of Microwaves101! Below is the performance of a rat race where the split is 2:1 between the arms. Here we've swept the impedance Z5 from 20 to 80 ohms in steps of 10 ohms to prove that it is indeed a degree of freedom. Something you probably won't learn anywhere else. Oooh, pretty colors make us think of rainbows and unicorns. 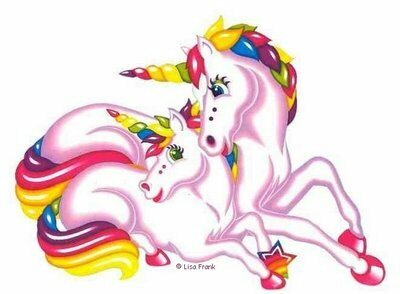 Hopefully Lisa Frank won't mind that we borrowed this image. You could go to their web site and buy your daughter a gift for Christmas right now. Nah, get her a pink scientific calculator on second thought. The split ports of the rat race are 180 degrees out of phase. Unfortunately, if you merely subtract their two phases you might see a line that bounces between +180 and -180 degrees over frequency, which has annoyed microwave engineers for about one hundred years. There are many ways to fix this, the equation we used involves an IF statement to make the correction. Now here's the phase with Z5 swept from 20 to 80 ohms. The 180 degree characteristic is maintained. This network is based on the unequal rat race. We haven't run into it in the literature, if you want to use it please be sure to reference Microwaves101 where you learned about it! 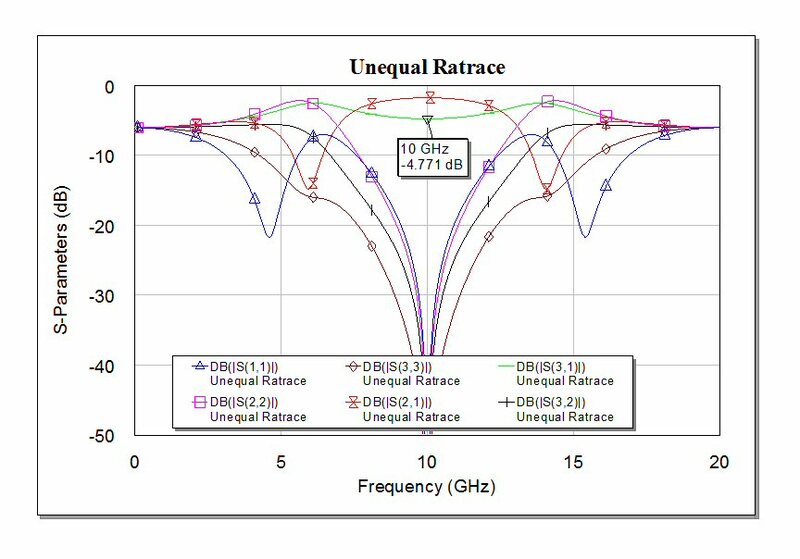 Below is the response, withe the Z5 segments set to Z2, and a ratio of 2:1 output amplitudes. Again we sweep Z5 from 20 to 80 ohms to show this degree of freedom. A second degree of freedom on the Gysel is that you can delete one of the terminating resistors if you cut the value of the other one in half (from 2*Z0 to Z0). Generally this is not a good idea as it reduces bandwidth and all you are saving is a 10 cent resistor. We won't bother showing the equations for phase differences, it is simple to subtract phase of S21 from phase of S31. 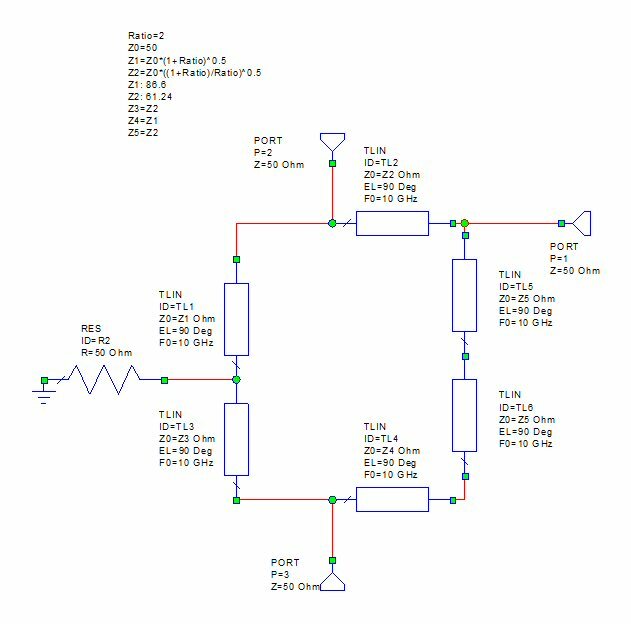 This design is from the paper "A Novel Gysel Power Divider with Arbitrary Power Ratio for High-Power Application" by Zhang Haiwei, Xue Quan, an IEEE MTT paper from 2013. Instead of changing the impedances of the segments, the authors chose to change the lengths. The math is a little hard to follow, so we used an optimizer to solve it (at a single point), and left all the impedances at SQRT(2)*Z0 like they would be in a "normal" rat race or Gysel. Indeed, this network is capable of providing unequal splits. But the magnitudes of the splits have a large slope versus frequency. 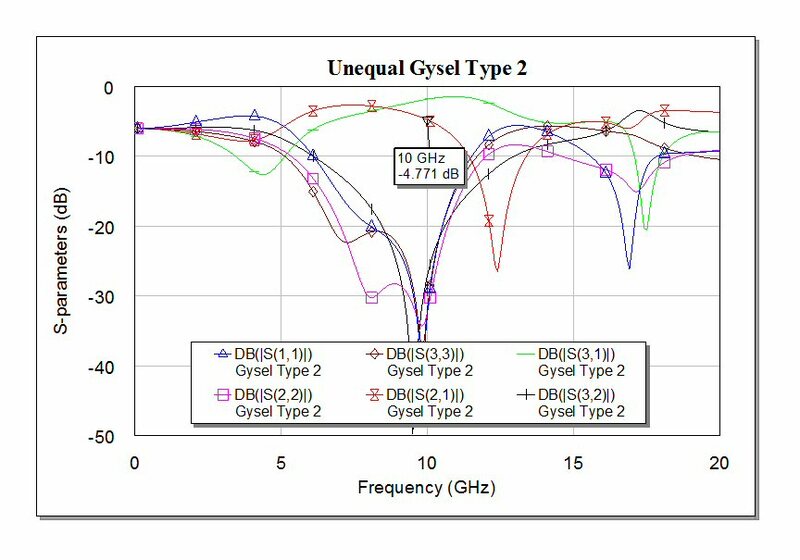 For this reason, we recommend the Type 1 unequal Gysel. For completion, here is the phase difference between ports 3 and 2. In-phase operation is also achieved.